DAY 01: Arrive at Auckland. Transfer to your hotel. 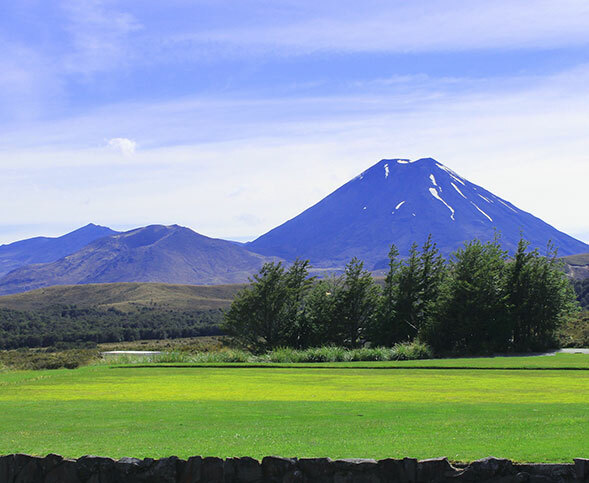 This is only a transit stay in Auckland before you start your New Zealand Delights tour in Queenstown. DAY 02: On to Queenstown – New Zealand’s adventure capital. Transfer to Airport after breakfast. Flight to Queenstown. On arrival at Queenstown airport, you will be greeted by your friendly and experienced Thomas Cook Tour Manager/ Local Representative outside the baggage hall. Later check into your hotel at Queenstown or Wanaka or Te Anau. Evening at Leisure to explore the city on our own. Tonight a delicious dinner awaits you at a local restaurant. Overnight at Hotel Copthorne Lakefront or Hotel Oaks Shores or similar in Queenstown or Hotel Kingsgate or similar in Te Anau or Hotel Oakridge or similar in Wanaka. DAY 03: Enjoy the scenic Milford Sound Cruise. Drive back to Queenstown. After an American breakfast at the hotel, enjoy an unforgettable journey onboard the Milford Sound via the awe inspiring Homer Tunnel and the stunning glacier – carved Eglington Valley. The Milford Sound Cruise sails right up to the mouth of the Tasman Sea (weather permitting). Journey into the untouched paradise of Milford Sound and explore the natural wonders and history surrounding these deep fjords. Enjoy lunch on cruise. Later drive back to Queenstown. Check into your hotel. Enjoy Dinner. Overnight at Hotel Copthorne Lakefront or Oaks Shores or similar in Queenstown. DAY 04: Today experience the Gondola ride that gives you the best view of this city. Proceed to the “Puzzling World” at Wanaka. Today visit the Historical Arrowtown and also the worlds first Bungy site A J Hacket Kawarau River. After an American breakfast at the hotel; today get ready to experience the famous Arrow town, A J Hackett Bungy Jump Site and the Gondola ride, also a fast convenient access to the best views from Bobs Peak, which is reputed to be the steepest lift in the Southern Hemisphere. Proceed to Puzzling world at Wanaka, a unique attraction specializing in puzzling eccentricity. Offering the world’s first “modern-styled” Great Maze, incredible Illusion Rooms, and the most eccentric architecture and Oddities. Enjoy Lunch. Evening at Leisure. Enjoy dinner tonight at a local Indian restaurant. Overnight at Hotel Copthorne Lakefront or Oaks Shores or similar in Queenstown. DAY 05: Day is completely free at leisure to explore the many adventure activities in Queenstown. Capital of the World’. Queenstown in NZ’s South Island is the premium place to “Jump” The drop zone is located at the base of the famous Remarkables mountain range surrounded by a working sheep farm. Prepare yourself for the ultimate Jet Boating experience with Shotover Jet – the unique, breathtaking white water ride and adrenaline rush you’ll never forget. From the moment the accelerator hits the floor,your adrenaline hits the roof. You’ll speed over 10cm deep water, along the famous Shotover River and deep into the spectacular Shotover River Canyons. It’s an amazing white water ride, as the Shotover Canyon walls tower over you, your expert driver puts his state-of-the-art Big Red Jet Boat through its paces. At 85kph he’ll skillfully whip the powerful boat past rocky outcrops, skim around crags and boulders, and speed through the dramatic and narrow canyons. Enjoy Indian dinner at a local restaurant. Lot of other optional tours are also available. Please check at the end of this document. Overnight at Hotel Copthorne Lakefront or Oaks Shores or similar in Queenstown. Flight to Auckland – “The city of Sails”. Enjoy a city tour of this beautiful, pristine city and also enjoy a bird’s eye view of Auckland city from the Sky Tower observatory deck. some groups may stay at Hotel Ibis (3*) or similar in Hamilton. DAY 07 Proceed to Day trip of Rotorua – “The Thermal city”. Enroute visit Hamilton Gardens, proceed to Waitomo Glow Worm Caves. Visit Te Puia Thermal Reserves. After an American breakfast at the hotel, drive towards Rotorua and visit the Hamilton Gardens. Enjoy guided Tour of Te Puia Thermal Reserves on arrival in Rotorua, via the beautiful Cambridge. Enroute visit the Waitomo Caves in the lush Waikato region. Marvel at Mother Nature’s light display, as you glide silently through the starry wonderland caves of Glow-worm situated underground along the Waitomo River and gaze in silence at the myriad of glow-worm lights that make up the Glow-worm Grotto. As you enter this galaxy of tiny living lights, you will immediately experience a serene ambience and be fascinated and intrigued by tiny glow-worms that light your way. Next proceed for a guided tour of Te Puia Thermal Reserve where you can wander around the bubbling mud pools and see the famous ‘Pohutu’ Geyser. Tonight Indian dinner awaits you at a local restaurant. Overnight at Ibis Rotorua (3*) or similar. DAY 08:See the sheep shearing show at Agrodome. After breakfast, check out and proceed to Agrodome which will give you a chance to see through the eyes of a true New Zealand farmer. Witness the Agrodome Sheep Shearing Show an exciting and informative insight into the world of New Zealand agriculture, featuring different breeds of sheep, sheep shearing, cow milking, lamb feeding and dog demonstrations. Tonight Indian dinner awaits you at a local restaurant. Proceed to Auckland. Later enjoy an Indian Dinner at a local restaurant. Overnight at Ibis Ellerslie (3*) or similar in Auckland. DAY 09: Return home with wonderful memories of your holiday. Time Difference: New Zealand is 07 hours 30 minutes ahead of IST. 01 night accommodation at (3*) or similar in Auckland. Queenstown or Hotel Kingsgate or similar in Te Anau or Hotel Oakridge or similar in Wanaka. 01 night’ accommodation at Hotel Ibis Ellerslie (3*) or similar in Auckland. 01 night accommodation at Hotel Ibis (3*) or similar in Rotorua. Daily American buffet breakfasts at the hotel. (Except on Day of Arrival). Airfare (Main and internal), Ticket taxes, Visa and Insurance charges. tour to be paid to the Tour Manager on day 01 of the tour. Baggage handling fees for additional check-in baggage and any additional sectors for internal flights. The cost of the Passport, POE charges, etc. Any services not mentioned in “What Your Tour Price Includes”. Single entry New Zealand Visa. passenger other than Inclusions box are to be paid for extra. Please check on the Australia / New Zealand Quarantine rules before your departure. Prices subject to change by the local vendors without notice. Optional tours are booked & paid on 100% non-refundable & non cancellation policy. advance as these activities gets full very fast and might not be available on tour. GST will be additional if paid in India. Passengers joining this tour must travel to / from the hub city at their own expense. Meals are pre-set and a-la carte is not possible. passengers. Thomas Cook will not be liable for the same. changes in schedules of train, flight, bus, ship or other services. We also reserve the right to substitute a hotel of similar class if it is deemed advisable or necessary. services will remain the same. There are no refunds for any services i.e. meals, sightseeing etc. not utilized on your tour. A local representative or a driver may only be there to assist you during your initial part of the tour. The images used in this brochure are for representation purpose only. Please refer to the Booking Form for detailed “Terms and Conditions”.